Both baking soda and baking powder are leavening agents like yeast. A leavening agent makes your dough or batter rise and get lighter and softer. Baking soda is the common name for sodium bicarbonate. 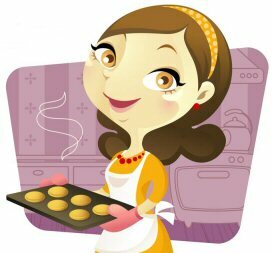 Baking powder is a mix of baking soda, cream of tartar and a starch, like corn starch. Baking soda creates a bubbling action when combined with an acid. Baking soda reacts with the acids in your recipe, whereas baking powder brings it’s own acid to your recipe, cream of tartar, for the reaction. The starch in baking powder keeps baking soda and cream of tartar from reacting until a liquid is added. Here is an interesting fact; Cream of Tartar is an acid salt obtained from sediment produced in the process of making wine. Are you out of baking powder? You can make your own! Copyright © 2019 Ask a Balabusta. Powered by WordPress, Hybrid, and KH-Balabusta.